Words can be considered beautiful, not just for the way that they sound, but also because of what they mean. Russian has plenty of examples of words that are really quite poetic in the beauty and simplicity of their meanings. Porosha is that perfect, untouched layer of powdery snow you see first thing in the morning, before it has been spoiled by people and animals trudging through it. Bozhya korovka simply means a ladybird (ladybug). Curiously, the literal meaning of the words bozhya korovka is ‘God’s little cow’. Why is this so? The answer is that if you touch the insect it will release an orange liquid repellent – the ‘milk’. The ‘God’ part of its etymology comes from the ancient agricultural observation that a large gathering of ladybirds often accompanied a bounteous harvest, hence why the insect became associated with good fortune. As in English, the Russian language distinguishes between garden and wild strawberries – klubnika are the former, zemlyanika the latter. Zemlyanika is an especially sweet word, literally meaning ‘little thing of the earth’. This is because you often find wild strawberries lying on the ground. Listopad means the ‘autumnal falling of the leaves’. By separating the word’s elements, you get the wonderfully descriptive ‘leaf-fall’. 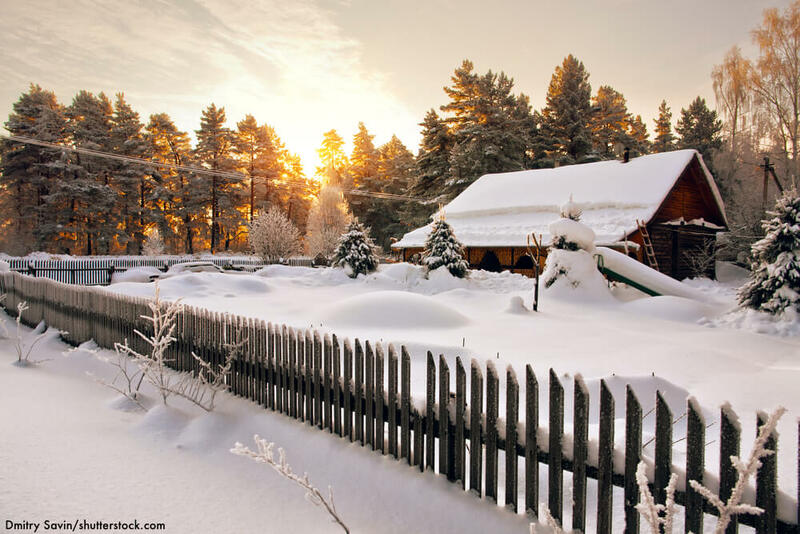 Kapel refers to the day that heralds the start of Spring in Russia: when the sun comes out for the first time in months, and the snow slowly starts to melt, dripping down from the treetops. The babbling noises that babies make when they have just started learning to speak is translated as Lepetat in Russian. Related to the word for ‘to love’ (lyubit), polyubit means to slowly grow fond of someone. It doesn’t refer to the ‘love at first sight’ feeling, but rather the gradual awareness that someone means more to you than you first realised.